7/13/2012Share this story on Facebook! 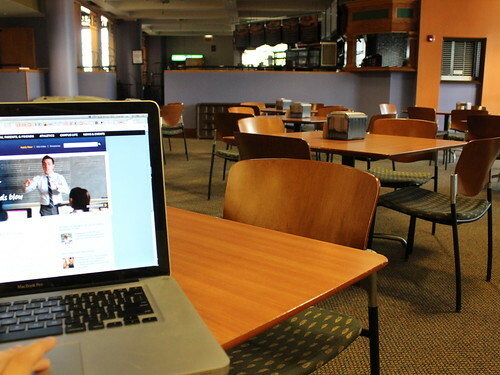 It's easy to take advantage of the library's endless supply of resources without leaving your favorite study spot. Search the library's music collection or extensive archives. Writing a paper? Check out the library's research guides; they're sorted by subject and serve as a great start when looking for academic sources. Revise your bibliography with help from the library's writing and citation guides. Plus, you can ask a librarian your questions through its online chat service. 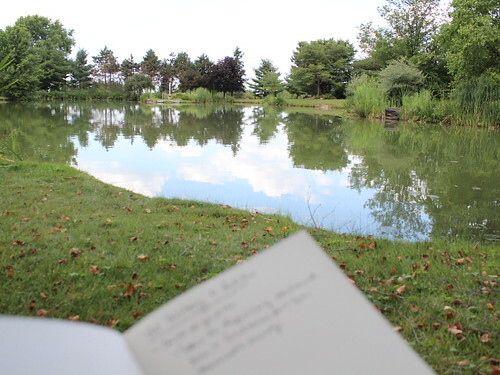 The shady grass by the pond is a peaceful, serene spot to think. 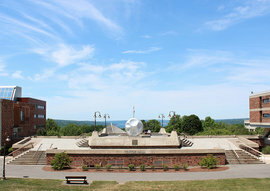 IC Square, or the pub as it's more commonly called, is one of the best spots on campus to study for the next final, grab a snack, or meet with a group to discuss a project. 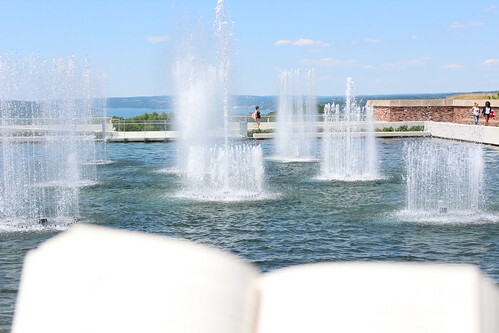 The view from the fountains is stunning, but it's also a quiet spot on the outskirts of campus that's perfect for studying. 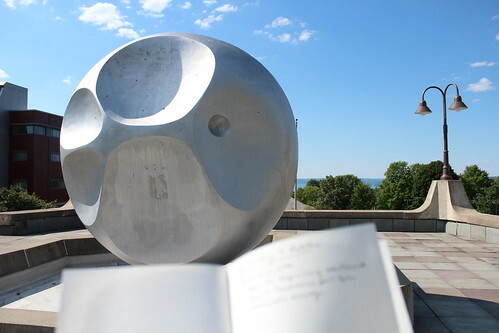 On a clear day, you'll find students reading near the "Textor ball" — the central hub of campus — where it's just a quick dash to most academic buildings. 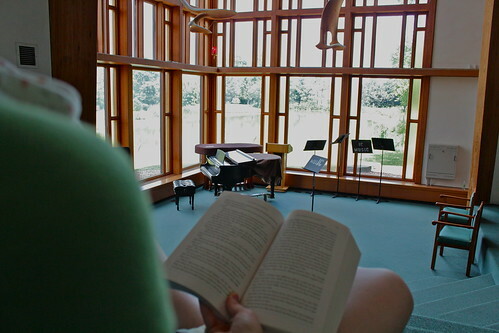 Many students find the chapel even quieter than the library. 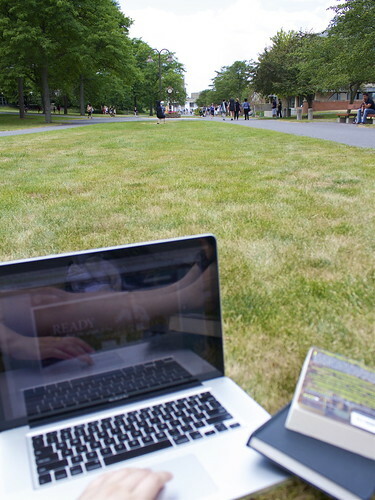 With just a quick walk to most classrooms on campus, the academic quad is convenient for last minute studying in between classes.